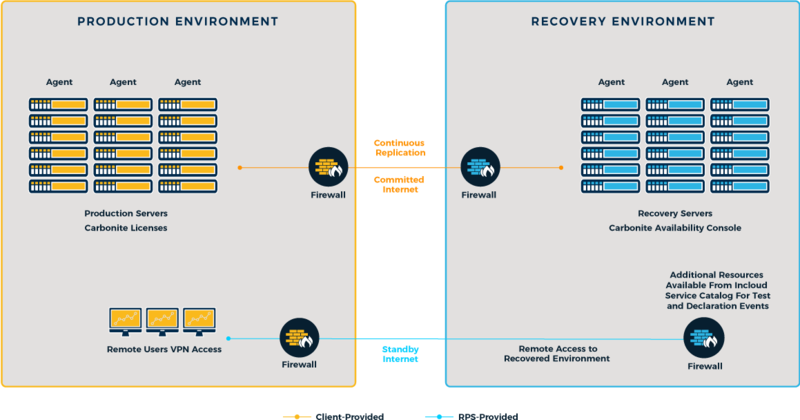 Recovery Point x86 HA DRaaS for Physical Servers is a Disaster Recovery as a Service (DRaaS) offering that uses Carbonite Availability to provide data protection and disaster recovery for your physical workloads. Continuous replication and very fast failover allow you to maintain the highest availability of your physical Windows and Linux servers, preventing downtime and data loss. This simple, yet powerful DRaaS recovery tool for physical servers combines Continuous Data Protection (CDP), orchestration and automation in one, simple solution. The service is available as a Fully Managed or Assisted solution, and includes 24×7 access to highly credentialed Recovery Point support staff. Hybrid configurations combining your own hosted storage and/or compute with Recovery Point’s INcloud infrastructure are supported. All services are delivered from Uptime Institute Tier III certified facilities. In addition, Recovery Point offers a full suite of DRaaS solutions for other platforms, including virtual x86, AIX, IBMi and Z Mainframe, so you only need one provider for all of your resilience needs.